If you haven’t already seen Alex’s post on Omeka, read hers first! Alex provides a great practical overview of the site and a guide for how to get started with Omeka.net. However, it’s hard to overstate just how much you can do with the platform, so as a supplement to her post, I’ll be sharing a little more information on how the site works and some examples of impressive Omeka sites. Omeka.net is essentially the light version of Omeka Classic, the free version of Spotify to Omeka Classic’s Spotify Premium. Or rather: Omeka.net would be the free version of Spotify if the free version of Spotify didn’t make you listen to ads but instead only had, like, Fear of Music, and none of the other Talking Heads albums. It’s not that Fear of Music isn’t a great album (“I Zimbra” is very much on it! ), but it’s only a portion of the wider Talking Heads discography, and also, the Stop Making Sense version of “Life During Wartime” is dramatically superior. Also, in this scenario, the user interface of the free version of Spotify is just a little bit worse. If this extended Talking Heads simile isn’t working for you, I refer you to this helpful post on Omeka from Anthony Bushong and David Kim at the UCLA Center for Digital Humanities, specifically the “Omeka.net or Omeka.org?” section. If the simile did work for you but you have more specific questions, this table, linked on the UTA Libraries page on Omeka, gets deep into the nitty-gritty of what you can do with which version. It’s important to keep these variations in versions in mind as you go through the Omeka Directory that Alex linked to, because many of the websites listed note the plugins used, and not all of those plugins will be available to you if you’re on Omeka.net! You should absolutely take some time to browse through that directory and check out what other users have made, but in the interest of whetting your proverbial appetite for web content, I’ll share some here that I found especially interesting or impressive. 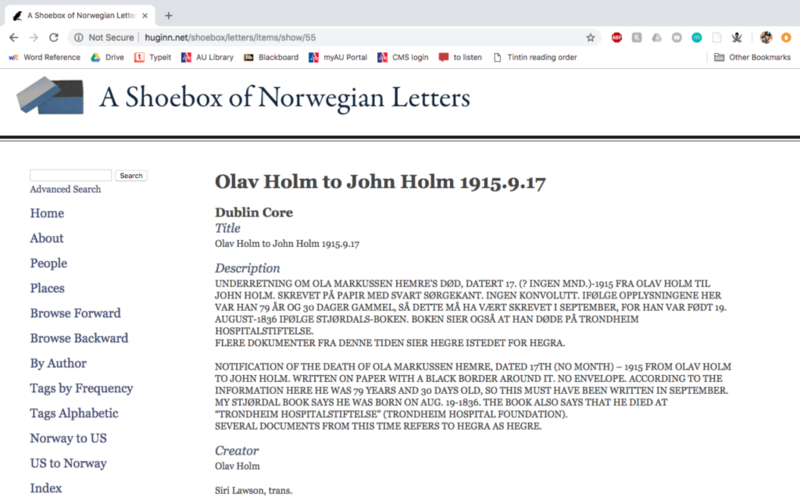 This small, clean, and simple archive of letters is a clear example of the sort of functional, professional-looking website you can make with Omeka. It’s easy to navigate, apparently has 248 items in its collection, and completely serves its purpose in archiving these documents. 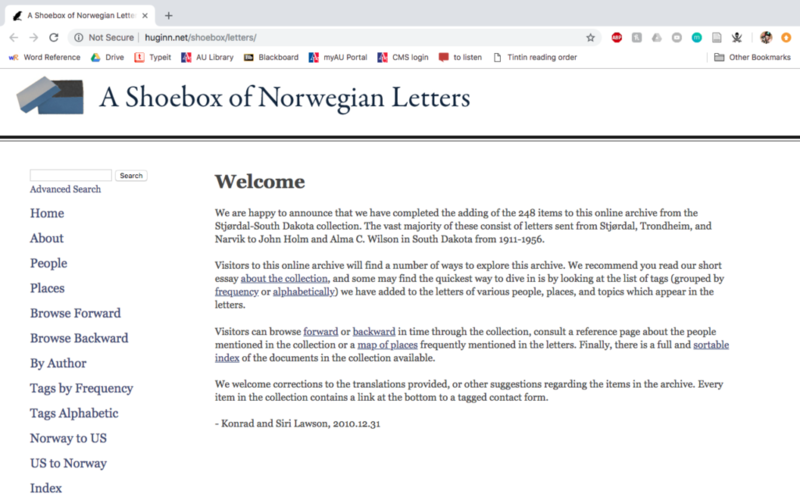 An example of an item page for a letter in the collection. Here’s another simple example of what an Omeka site can look like—I’ll point out that the site’s domain ends with “.omeka.net,” which seems to imply that this is an example of the free version of the service at work. 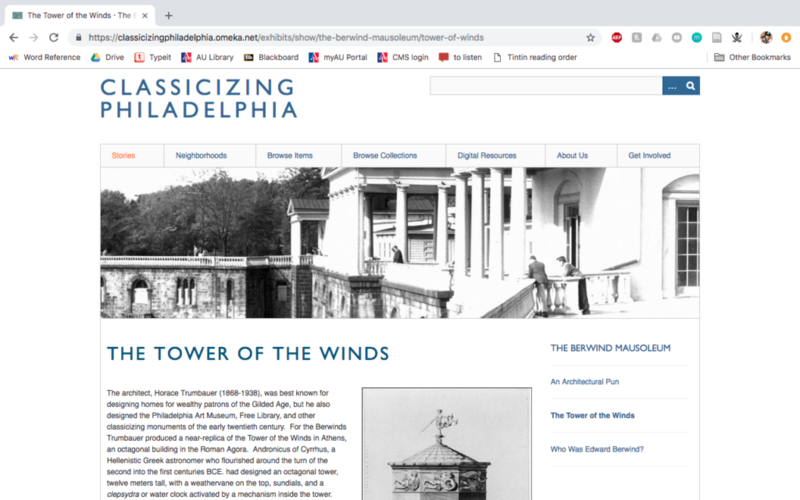 The site features collections of items that draw attention to Greek and Roman heritage as it presents in Philadelphia, as well as small online exhibits offering a more guided look at the topic. 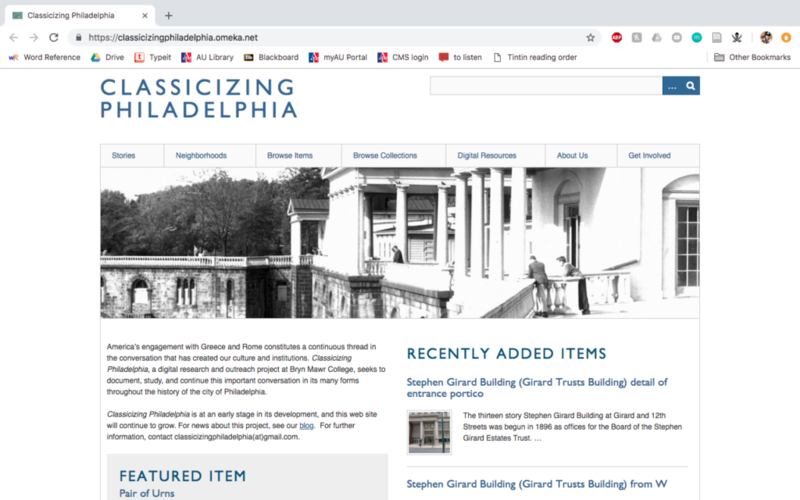 An example of an exhibit page on the Classicizing Philadelphia site. Now we’re beginning to get a bit fancier—here’s an award winner! 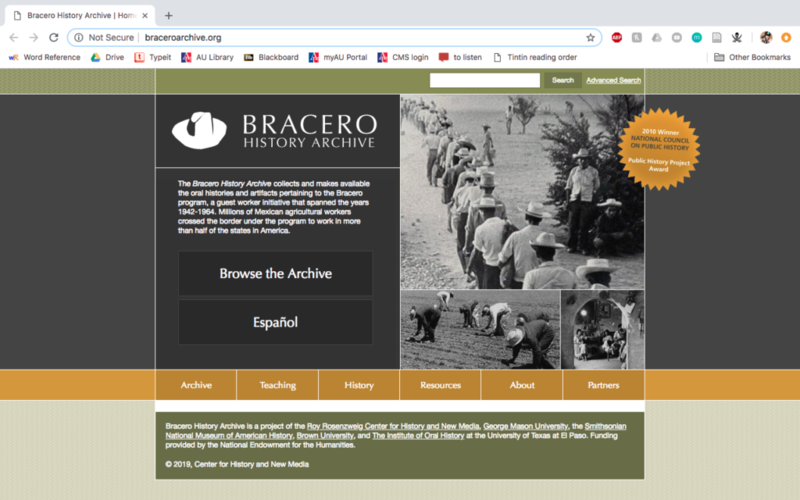 The Bracero History Archive site presents its archive in two languages, allows contributions to its archive, and offers teaching resources. According to the Omeka Directory, this site uses (among others) a specific Contribution plugin, which “allows collecting items from visitors.” It’s also just a nice-looking piece of web design, a point that shouldn’t be overlooked! 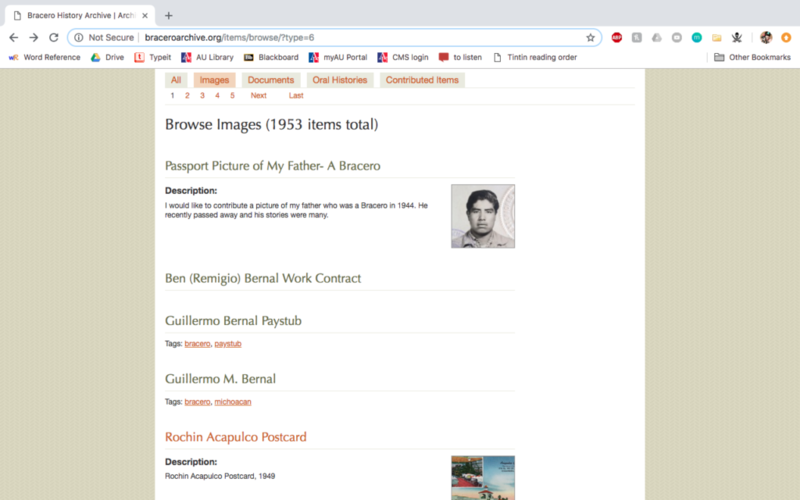 A look at the image archive page on the Bracero History Archive. 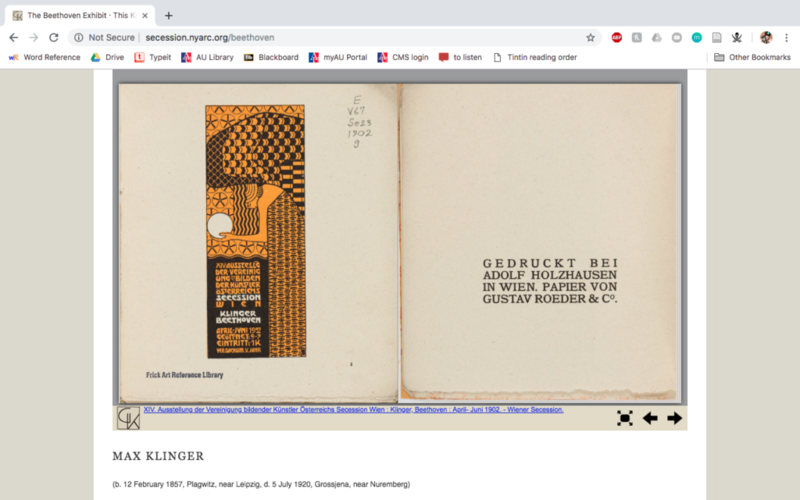 If you’re making a website about the Secession Building and Gustav Klimt’s Beethoven Frieze, making the site ugly would be probably the worst crime you could commit, and making it uninformative would be the second worst. Fortunately, this Omeka site skillfully avoids both of these potential pitfalls. 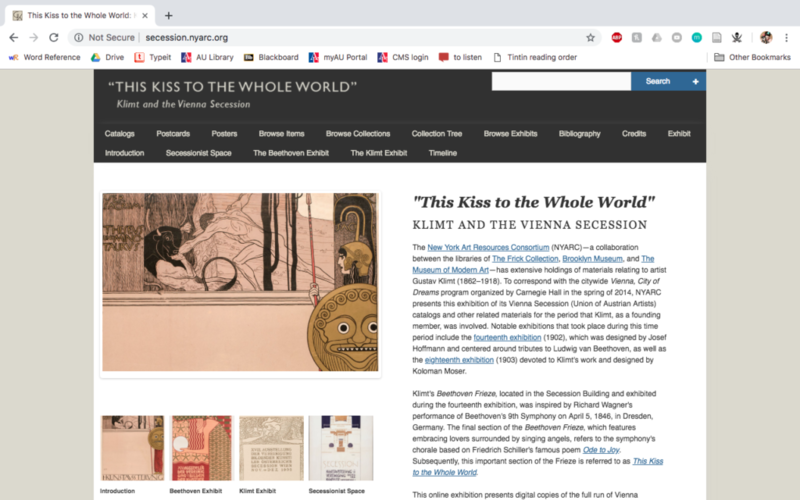 The collections are easy to view in depth, and the site has room for both interpretive text and rich visuals, all while keeping things organized. A document open for viewing on the Beethoven exhibit page. Visitors can click through and explore the book on their own. The entry for this site in the Omeka Directory doesn’t include a list of plugins used, but there are several options for embedding PDFs, images, et cetera that could be on display here. 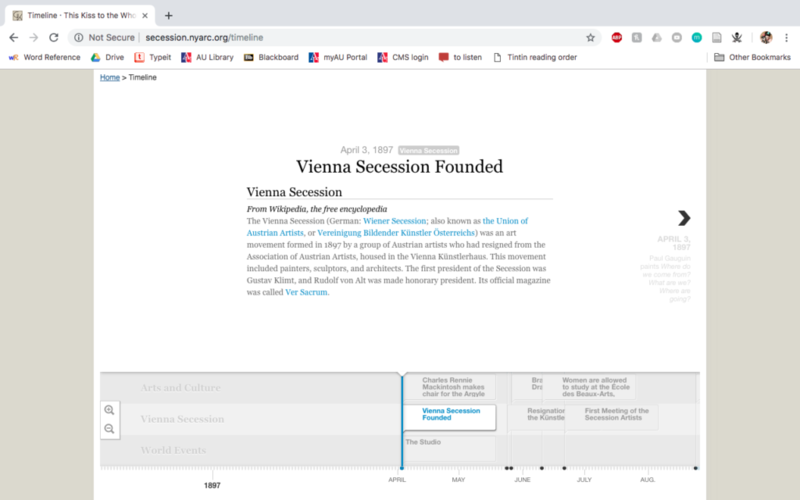 An extremely neat feature: the timeline. Stylish, useful, and well-organized. This is probably one of the most advanced Omeka sites I’ve found, and their entry on the Omeka Directory suggests why that may be. 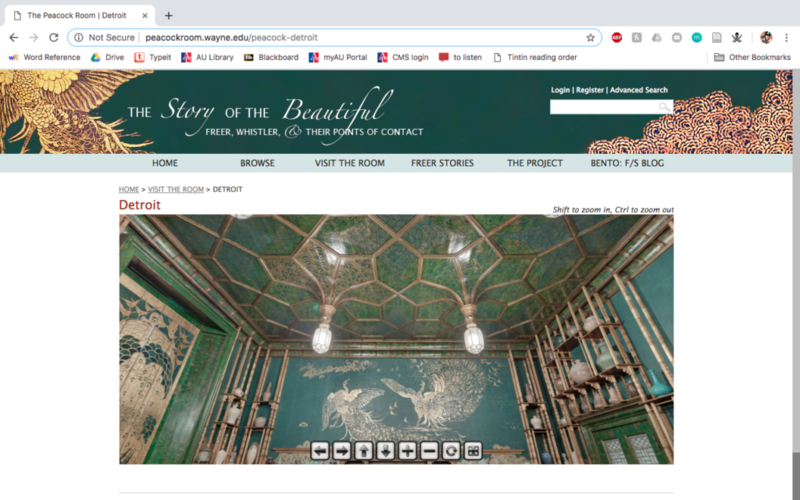 Whereas many sites just list two or three plugins used, this site on Whistler’s Peacock Room cites 11: “CreativeCommonsChooser, CSV Import, Docs Viewer, Dropbox, Freer Metadata (adapted from Dublin Core Extended), IntenseDebate, Item Relations, My Omeka (modified), SimpleContactForm, Simple Pages (heavily used), Social Bookmarking.” The fact that two of these are noted as having been modified or adapted suggests that some of the people who worked on this website may have had some more expertise than most Omeka users, but the site is a testament to the platform’s power. 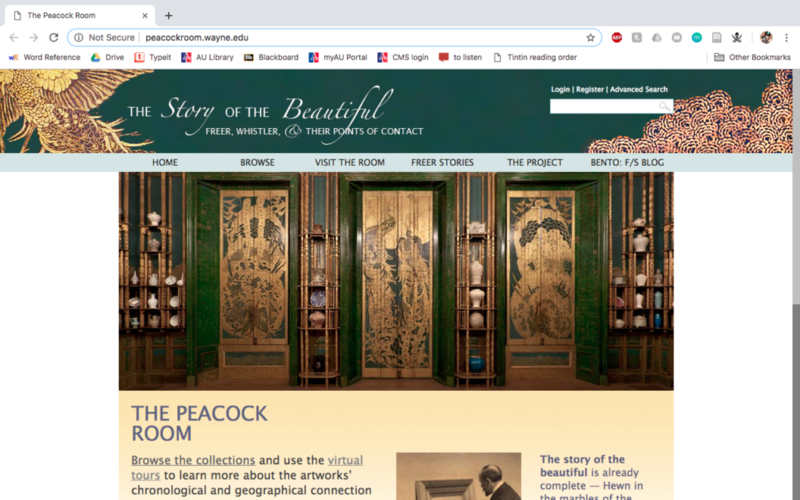 Two pages on the Peacock Room site allow visitors to “visit the room”—by clicking, dragging, zooming in, and zooming out, visitors can simulate the experience of visiting the room in two cities during two periods in its lifespan. Of all the sites I’ve viewed—and there have been many!—Lincoln at 200 remains one of the most consistently impressive to me because of how skillfully it structures its exhibits. 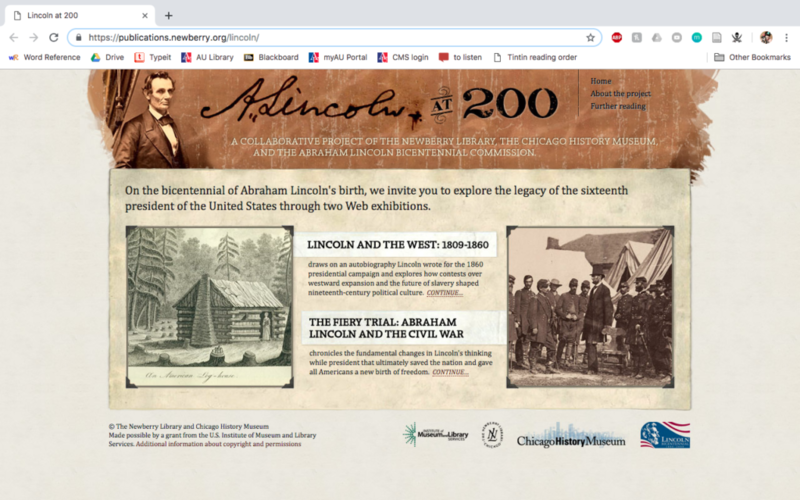 The Omeka Directory is replete with many great examples of archival repositories, but Lincoln at 200 indicates Omeka’s potential as a platform for building a well-organized digital exhibition. 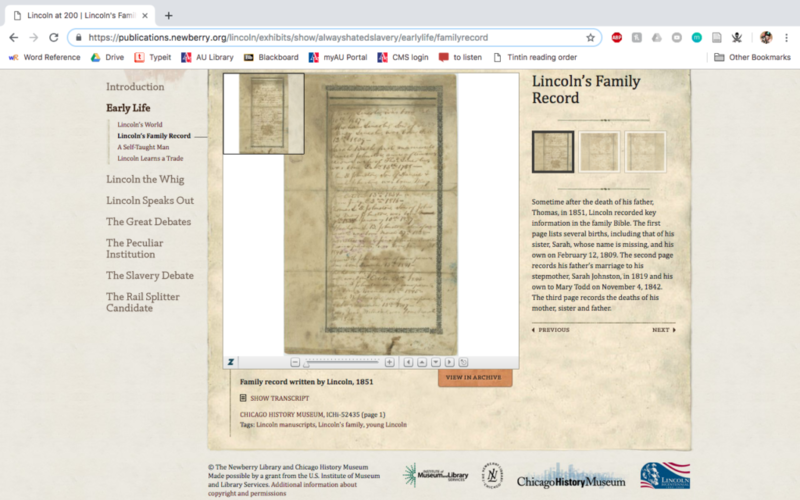 Each page of the exhibitions on Lincoln at 200 features an uploaded image or an archival document like this one, which is embedded so that viewers can explore it close up, with additional links to a transcript and where visitors can find the item in the archive. 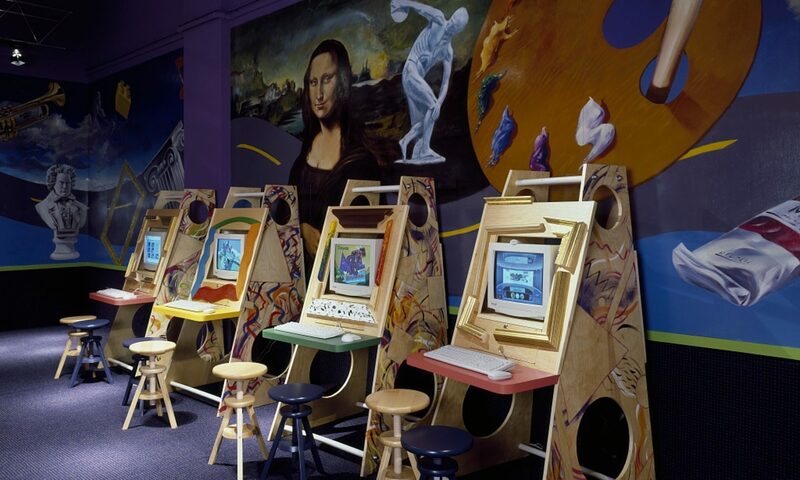 The exhibit skillfully incorporates archival materials into its interpretation through the various tools available on Omeka. Believe it or not, this very long post only shows a minuscule fraction of what Omeka sites can do! Take a long stroll through the directory, and I promise you’ll find something inspiring and probably also something intimidating. Maybe those are the same thing! If nothing else, though, Omeka seems like a tool worth getting excited about. Thank you, this post has been really informative. In particular the examples make it so much easier to visualize the possibilities Omeka has to offer. Were all of the examples created from Omeka.net? Happy to help! Looking at the plugins used for each site (as listed in the Directory) is generally the easiest way to tell whether someone’s using Omeka Classic or Omeka.net. The third page of the comparison table I linked covers which plugins are available in which versions—so for example, two plugins that you see listed on many sites in the Directory are Exhibit Builder and Simple Pages, which are available for both Omeka Classic and Omeka.net. If a site’s only using those two plugins, it could be just an Omeka.net site. However, the Bracero History Archive includes the Contribution plugin, which the table indicates is only available on Omeka Classic, or on Omeka.net for users with Plus, Silver, Gold, and Platinum plans, so at the very least the Bracero History Archive was using some sort of paid account, if not running their own server. The Peacock Room page uses a number of plugins, such as Dropbox and Item Relations, that are only available to Omeka Classic users, so we know that that one was definitely created in Omeka Classic, not in Omeka.net. Unfortunately, not every website linked in the Directory lists the plugins used, but when the site’s creator provides a list, it’s a very helpful way to check what sort of plan or what version of the platform the site’s creator was using!